Thanks again to the Fort Worth Fire Department for saving one of our girls! 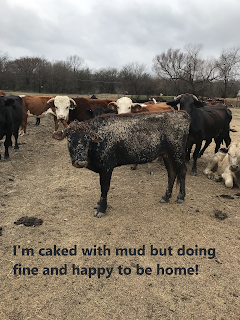 Amazingly, she does not appear to be injured in any way and is happily grazing with her herd. You never know what you're going to see on the east side of Fort Worth....but what I saw and experienced today was compassion above and beyond the call of duty by our Fort Worth Firefighters! 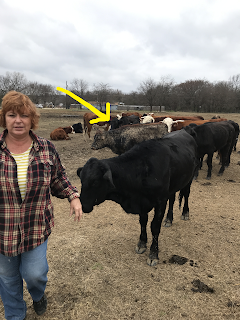 My husband and I run about 100 head of cattle on the east side of Fort Worth in the Trinity River bottoms off Randol Mill and Precinct Line Roads. This area used to be all farmland. Randol Mill is actually named after a mill once owned by a man named Randol. The mill was a hub for farmers who brought their crops to the mill to be ground up into feed. The mill even played a part in Fort Worth being named as the county seat. It was wild and western back in the day! Over time, this area has changed. Development keeps coming and has pushed most of the farmers out of the area. We love farming and we love our livestock. It's become a challenge to maintain fence lines when fishermen and people on four-wheelers and dirt bikes cut our fences. We're blessed by the Lakes of River Trails neighborhoods as they are wonderful neighbors who help keep watch of our animals. Today, as the cows crossed the river, a young heifer and a baby calf found themselves stuck in the mud. I slid down the bank and waded into the waist-high mud losing both my shoes. I was able to free the calf who crossed with his mother who patiently waited for her baby, but I couldn't free the young heifer. I called the FWFD non-emergency number and explained our dilemma to the very kind officer. Within minutes Engine 27 was on the scene. I watched as the firemen carried equipment through the briars and brush down to the river where they tried with all of their might to free our heifer. It didn't look good and I believed we would have to put the heifer down. 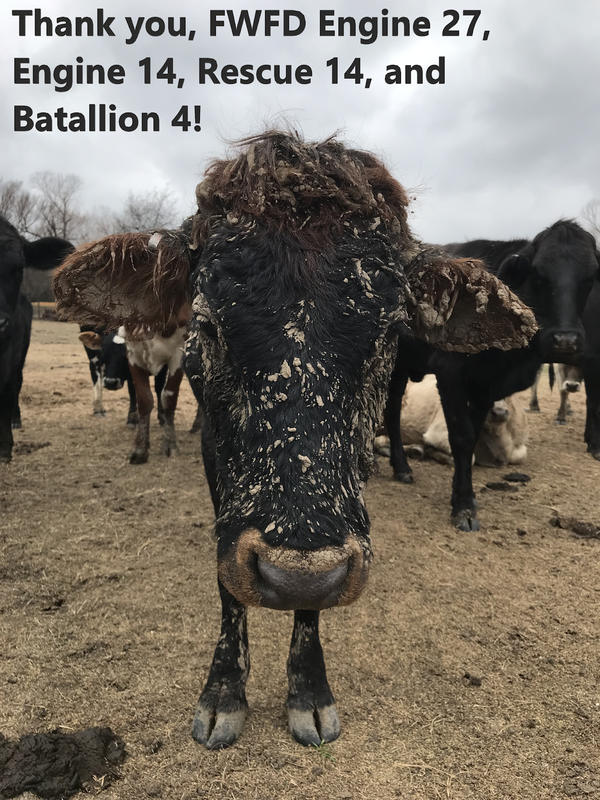 My husband and I went home to get what we needed to put our heifer down when I received a call from the fire department that Engine 14, Rescue 14, and Battalion 4 were at the scene and were going back in to try again. Together as a team, the men worked together and freed our heifer from the mud and hoisted her up the steep bank. The video is shortened but what I witnessed warmed my heart and made me proud to live in Fort Worth. 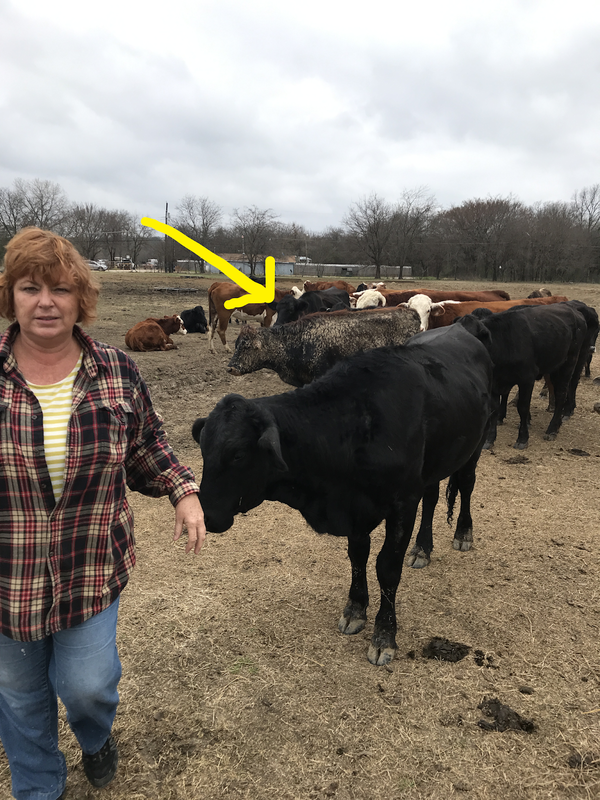 The heifer got to her feet and crossed the river and reunited with the herd. There is no way to thank the FWFD for their compassion, bravery, athleticism, and professionalism! You do Fort Worth proud everyday but today was something many of us will never forget!